Dazzling Cubic Zirconia in a long drop that is quite spectacular. 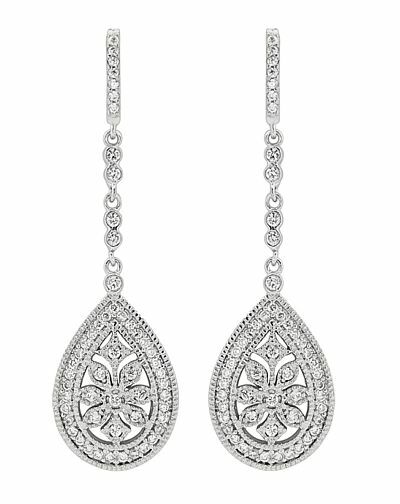 Inspired by vintage collections of Hollywood stars, these inspirational chandelier earrings feature a unique long-drop design that flatters the face and shimmers dramatically in the light. Silver finish. Size 5cm/2”long.